Washington –The Justice Department on Wednesday cleared CVS Health Corp.’s planned $69 billion merger with Aetna Inc. after the companies agreed to divest a Medicare prescription drug plan sold by the Hartford-based health insurer. “Today’s settlement resolves competition concerns posed by this transaction and preserves competition in the sale of Medicare Part D prescription drug plans for individuals,” said Assistant Attorney General Makan Delrahim of the Justice Department’s Antitrust Division. 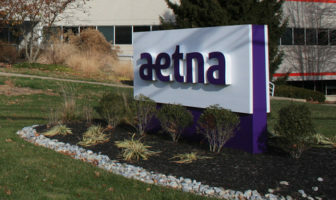 On Sept. 27, Aetna agreed to divest all of its standalone Medicare Part D business to a subsidiary of WellCare Health Plans, Inc. The company said it would continue to administer and provide service and support for the plans that are impacted by the sale throughout the 2019 benefit year. On Wednesday, CVS called Justice Department approval of the proposed merger a “key milestone toward finalizing the transaction” and said the deal is on track to close at the end of the year. The merger must also be approved by several state insurance regulators, including the Connecticut Insurance Department. The Connecticut Insurance Department held a hearing on the proposed merger last week and has 30 days to make a decision. Aetna and CVS say the merger will result in better care for consumers, and lower costs. But critics worry that consumers could end up with far fewer choices and potentially higher expenses. At the state hearing on the merger, several consumer and medical groups said they were opposed to the union. “We feel strongly that we must look beyond merely the local economic benefits and understand the devastating impact that this merger may have on access to patient care nationwide,” said Nathan Tinker, CEO of the Connecticut Pharmacist Association. CVS’s efforts to merge with Aetna also raised concerns that the insurer might abandon its long-established headquarters in Hartford. CVS recently committed to keep Aetna’s headquarters in the city for at least 10 years. The deal is the latest in a flurry of consolidations among health care companies in the past few years. Last month, the Justice Department approved Bloomfield-based Cigna’s purchase of Express Scripts.